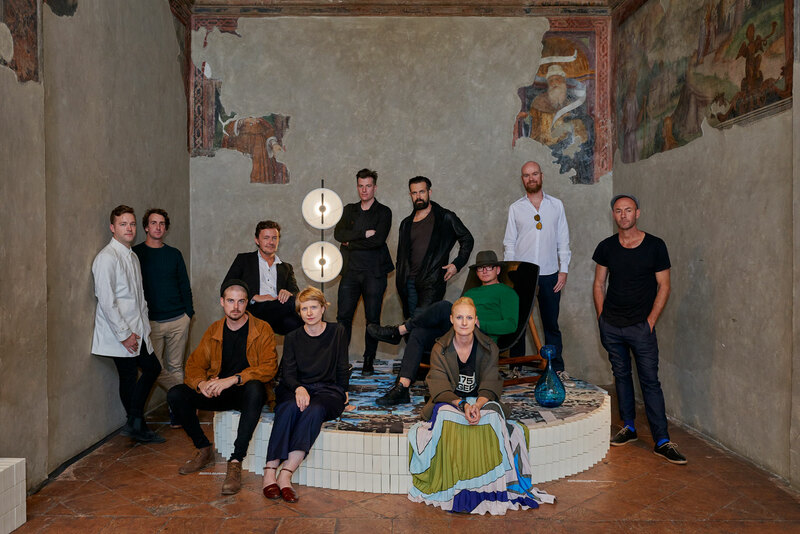 Australian Designers at Milan Design Week 2017. This year in Milan we saw more young Australian designers than ever before. The exciting part was not only the fact we saw Australian designers, but rather – what they showcased was rather brilliant, making us all feel super proud. For far too long the designers and the consumers of design in this country have looked to other places, namely Europe, as the only ‘valid’ producers of good design. Owning, desiring or specifying anything other than the Italian, the Scandinavian/ Nordic etc, was not where it was at. Similarly, it’s wasn’t so long ago when us Australian designers looked to overseas for visionary sources of inspiration – be it magazines, blogs, designers and influencers. Well, friends, I’m sure you will all agree this ain’t the case no more. Hooray! Sorry, that was a bit of a tangent. What I was trying to say is this – I feel super proud to shine a little spotlight on the Australian Design we got to see during Milan Design Week 2017. Read on for a little overview below. Highlights From Milan Design Week 2017. Video Highlights From Milan Design Week 2017. 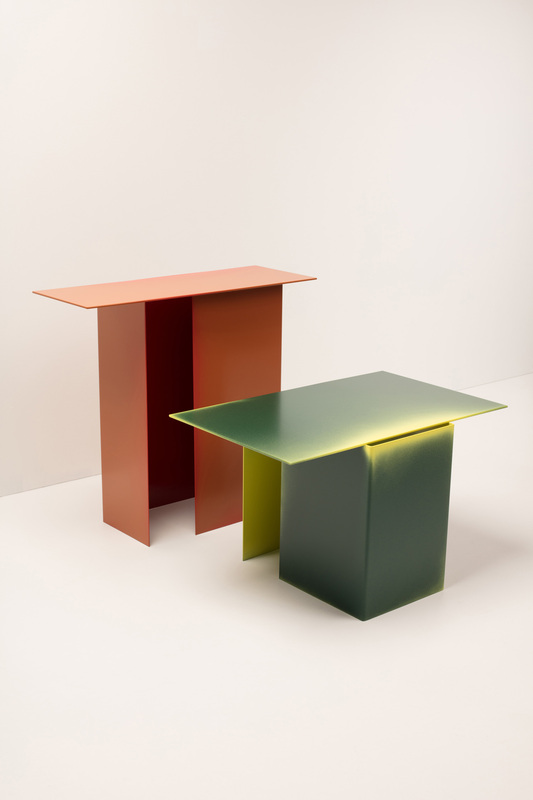 Daze Side Tables by Studio Truly Truly. Inspired by hazy light streaming through a crack, Truly Truly wanted to see how the act of colouring could be affected by the shape of the object. 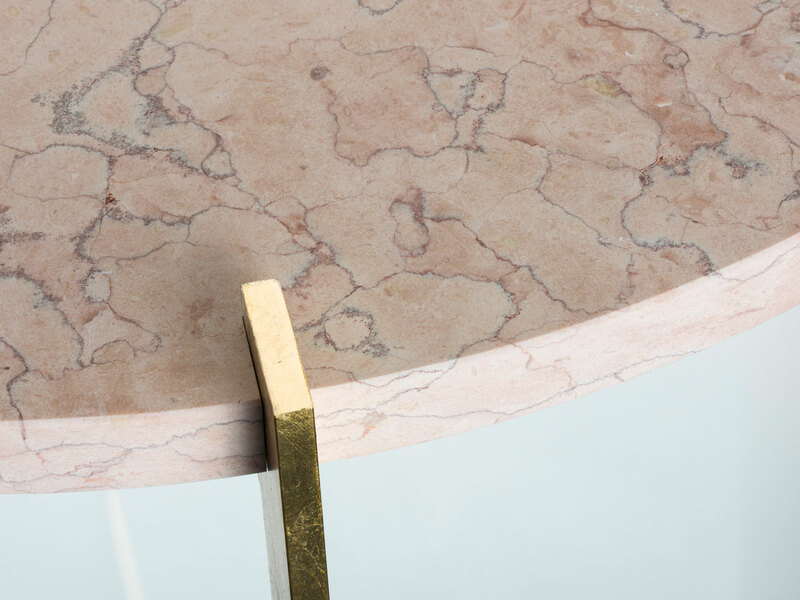 The Daze tables are built up out of architectural volumes with subtle slits that let colours float through. The misty emission that comes from within the volume during the process of colouring becomes visible on the table’s surfaces. This creates a bold effect, shifting between intense concentration in colour and beautiful subtle fades. 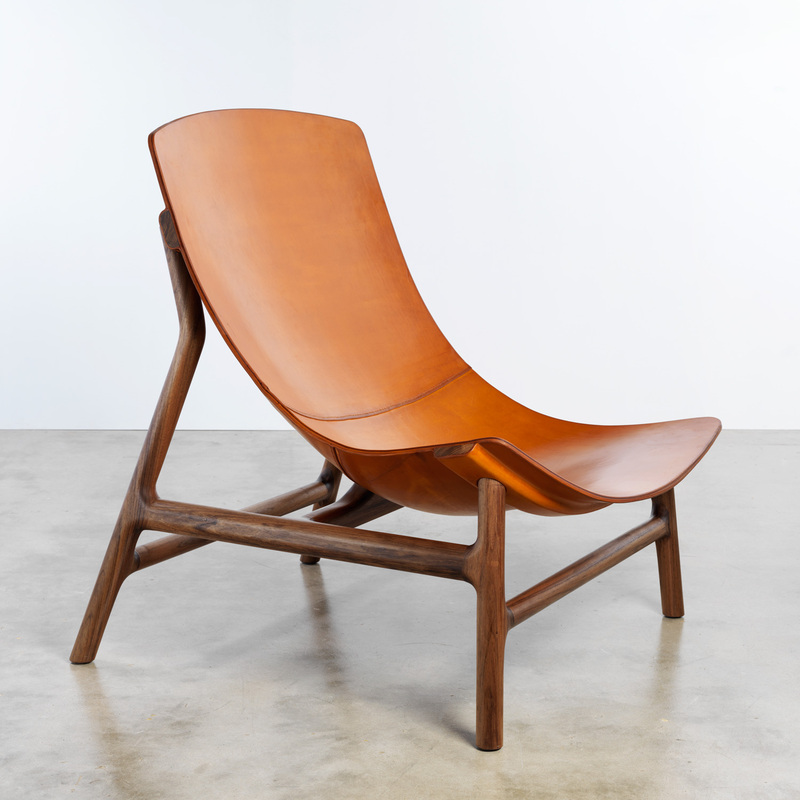 Wove Chair. Fascinated by the deep and intense colour effects that occur in weaving, Truly Truly wanted to enrich the vocabulary of our daily objects by creating variations in production. 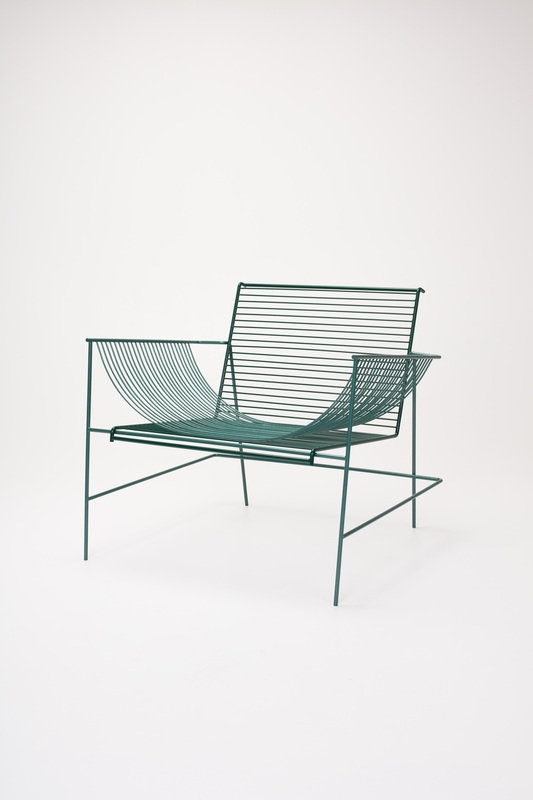 On the Wove chair, we see a delicate graphic interplay between the gently bent wires. The two-part design makes it possible to achieve two different finishes on one product. 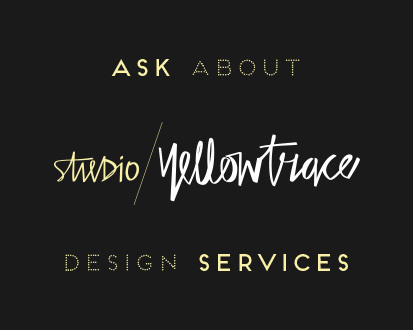 The simplicity in shape leaves space for experiments in contrast between tone and colour. Left: Touch Light. Truly Truly worked with the Netherlands National Glass Museum to experiment with a novel and unusual method of casting glass. They built a spherical outer-mould holding 48 adjustable pins, positioned in a grid around the sphere. Right: Grove Vessel. A glossy square exterior exaggerates the contrast of the rich, natural texture of the circular inside. Grove plays with translucency, opacity and light; the glistening detail is obscured and revealed by the varying thickness of the resin. Bole Vases. 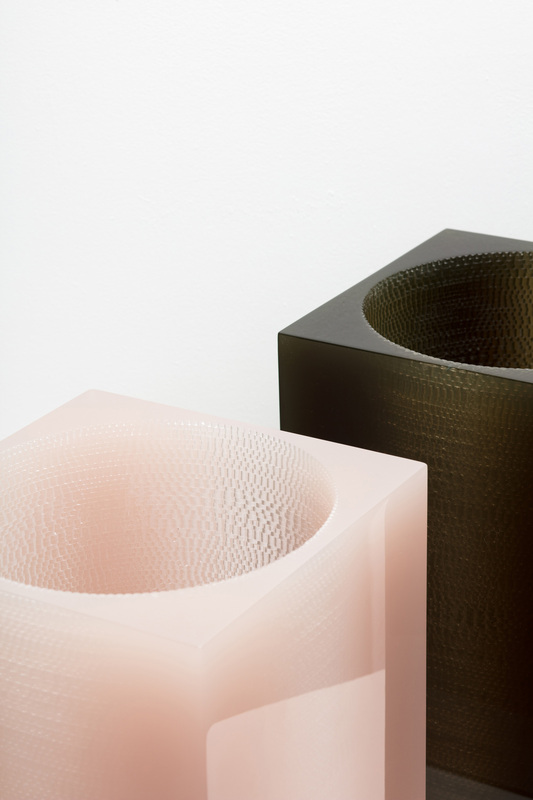 Truly Truly collaborated with Dutch ceramics manufacturer Cor Unum and undertook an extensive research into various surface techniques. 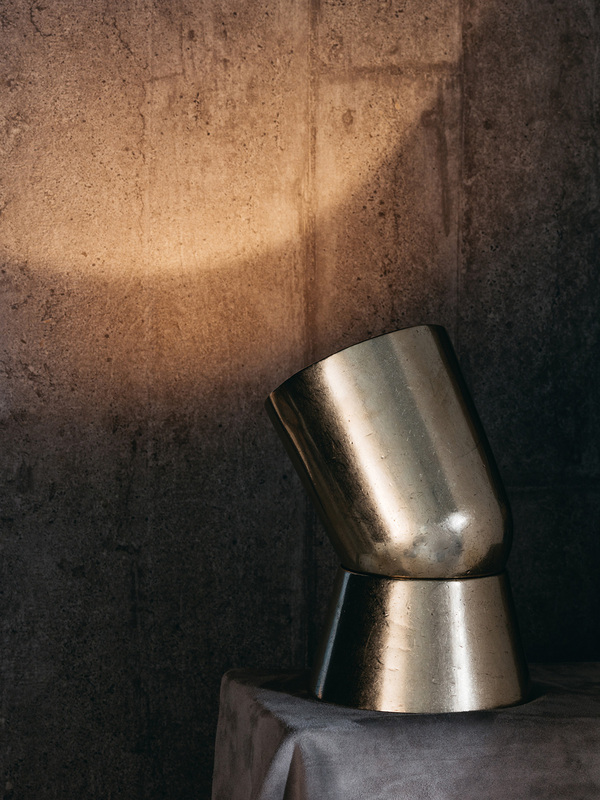 The Bole vase is a remarkably ambiguous object: the texture is both organic and geometric; the tall standing volume is inspired by an abstracted interpretation of a tree’s trunk. 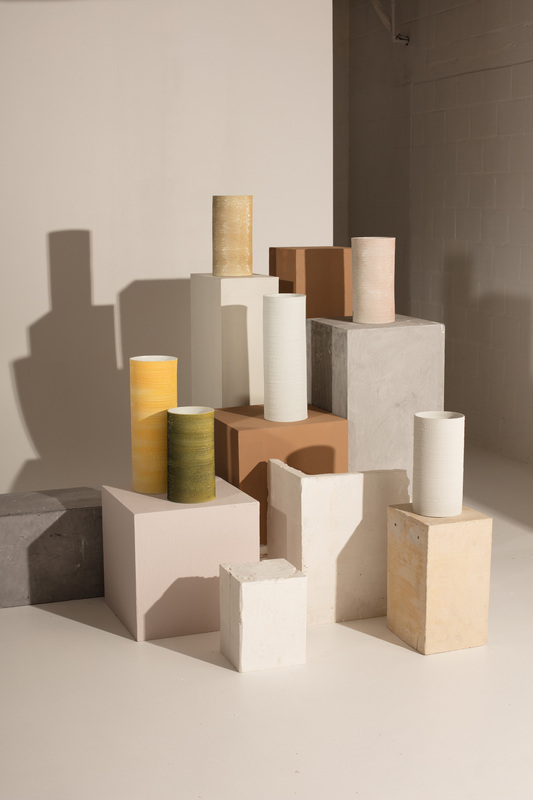 The fascinating imperfections from the ceramic process makes each vase unique in texture & colour, and slightly varied in size. Joel Booy & Kate Booy of Studio Truly Truly. Truly Truly presented a show titled ‘Experimentations in Colour & Nature’ in which the studio took standard production techniques to new territory, presenting impressive FIVE new works that debuted at SaloneSatellite. Fresh work spans from delicately textured ceramics, to architectural furniture made of colourful wires, to graciously morphed glass lights. 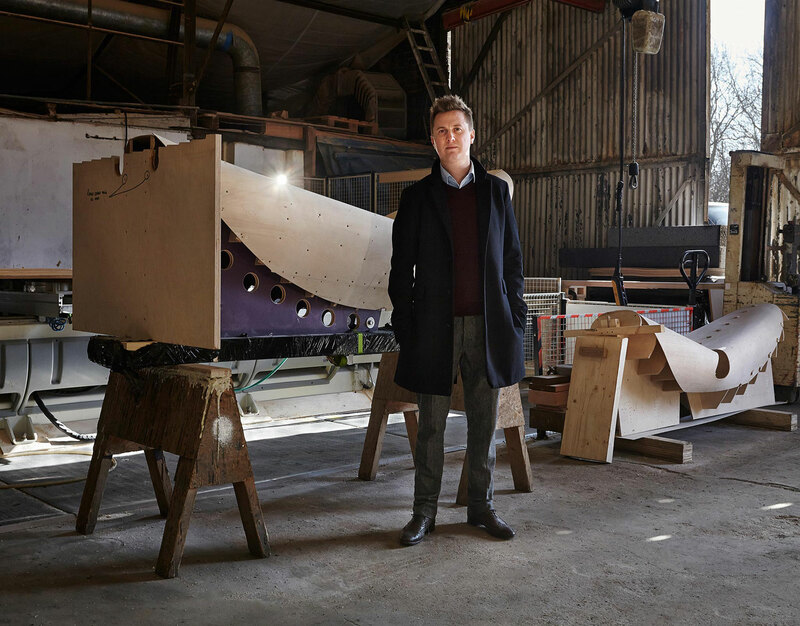 With a simple but powerful manifesto – make things properly, honestly and artfully – Truly Truly operates on the interface between industry and art, running a versatile practice that creates textiles, lighting, furniture and spatial installations. 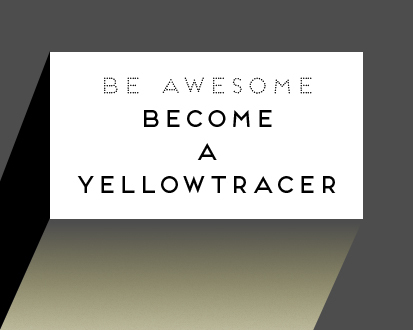 “We are constantly trying to appeal to our own desire to be surprised, captivated or moved. 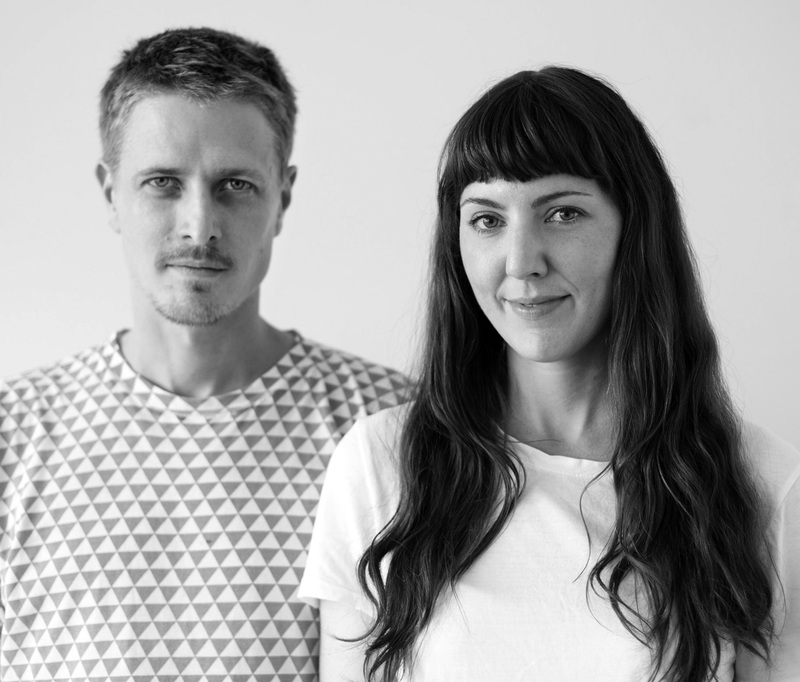 Our work is often sculptural or poetic, with tactility, sensuality and functionality playing an important role,” share Joel & Kate. This year, the duo also launched a chair for IKEA’s PS 2017 collection. At the invitation of Hella Jongerius, they’ve also designed for the Netherlands TextielMuseum. So awesome. Henry Wilson‘s Cast Impressions installation at Aesop store in Brera during Milan Design Week 2017. Photography by Felix Forest. Henry Wilson’s Cast Impressions. Photography by Felix Forest. Surface sconce and Rond vide poche. Photography by Felix Forest. 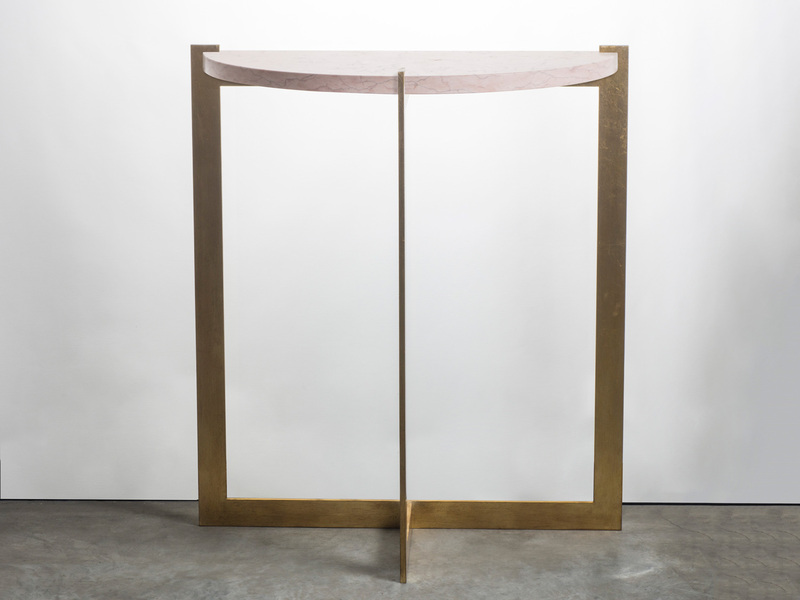 Left: ‘Fold’ light cast in high tensile brass. 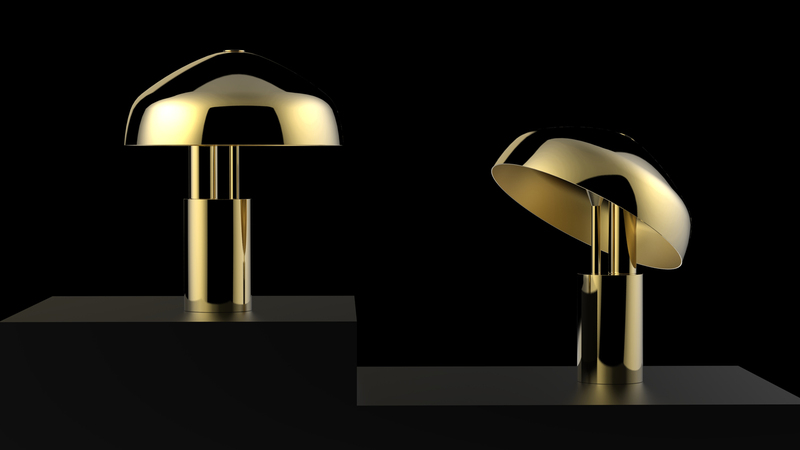 Right: Brass articulated spotlight. Photography by Felix Forest. Henry Wilson. Portrait by Bret Stevens. 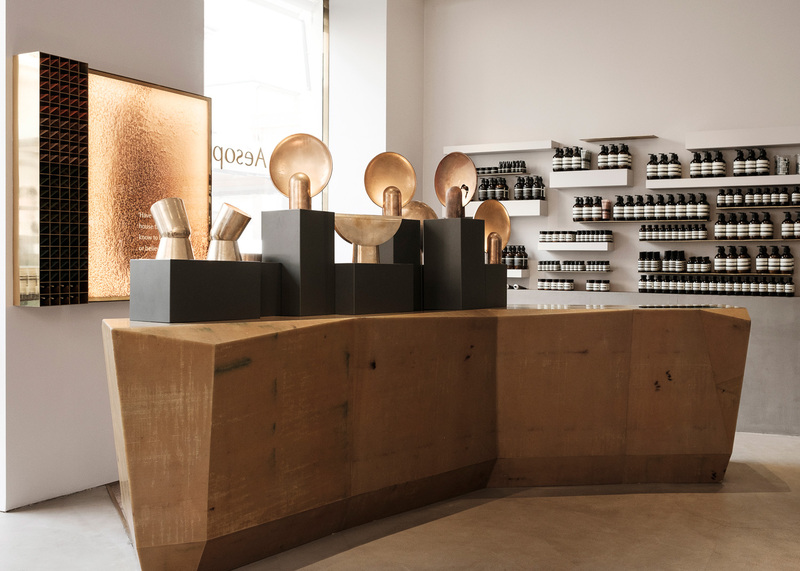 Henry Wilson, one of Australia’s most respected young designers, debuted his Cast Impressions collection within Aesop’s Brera store. The elegance of Henri’s objects sat in perfect unison with the stunning interior of the Milan Aesop store designed by the legendary Vincenzo de Cotiis. The collection consists of lights, two of which, the brass Articulated spotlight and Fold light, were shown for the very first time. 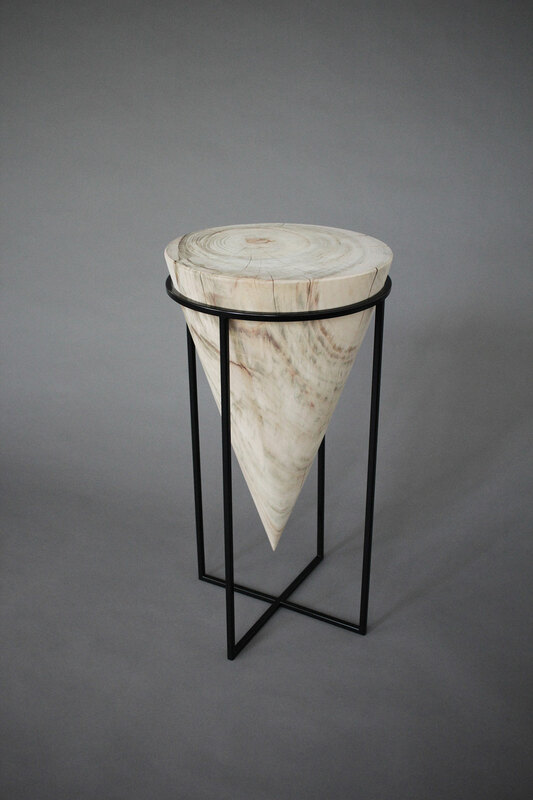 A series of table and desktop accessories, all sand cast in bronze with a rumble polished finish, were also shown. 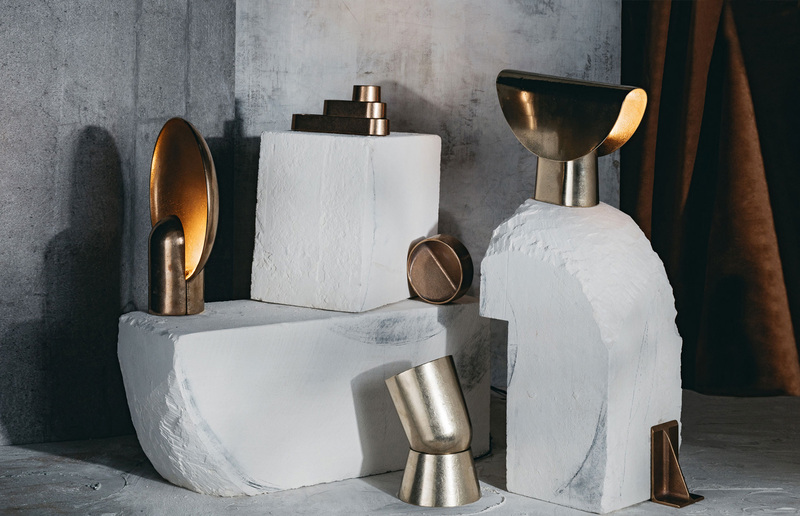 These tactile and precious objects, each with a gentle sculptural expression, were designed with multiplicity and longevity of use at their core. They have a primal appeal beyond taste or trend, and are designed to be loved and lived with for a lifetime. Perfect. Cartabianca Installation inside Brera apartment during Milan Design Week 2017. 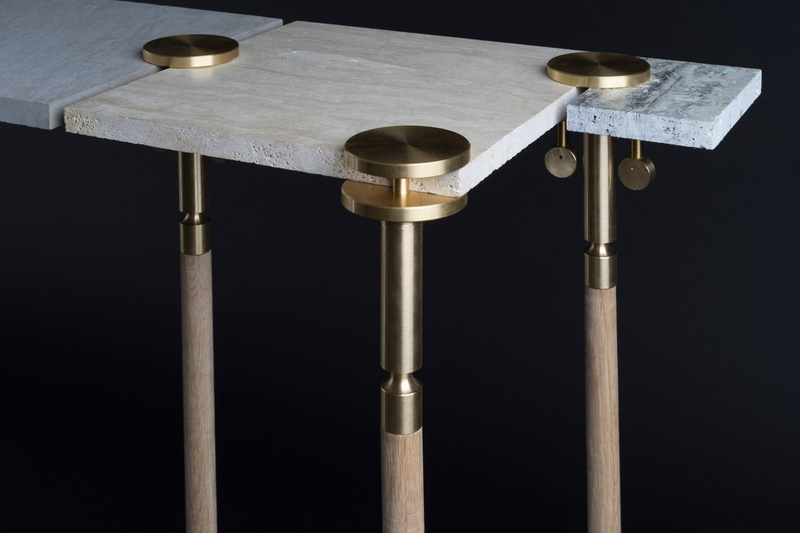 Marble & brass console by Cartabianca. 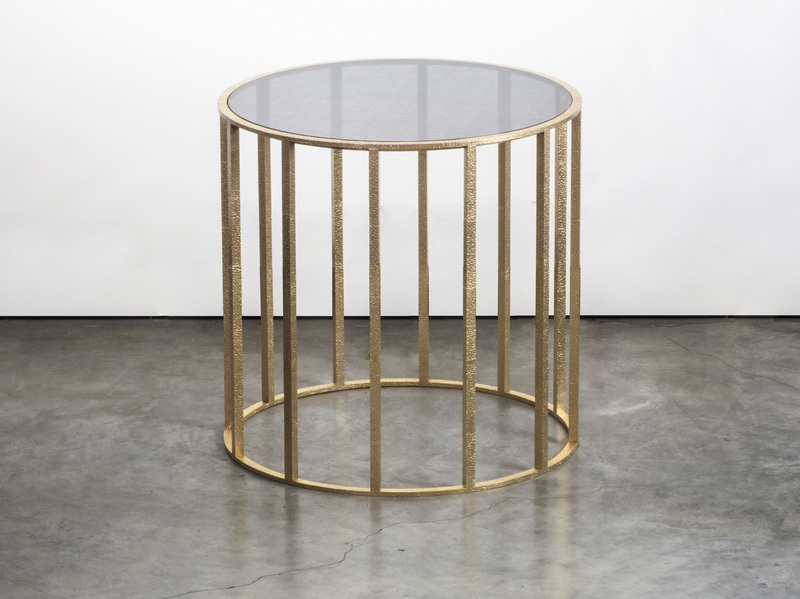 Brass & glass small table by Cartabianca. Jane Barrett, designer and founder of Cartabianca. If Cartabianca sounds a lot more Italian than Australian, that’s because it kind of is. 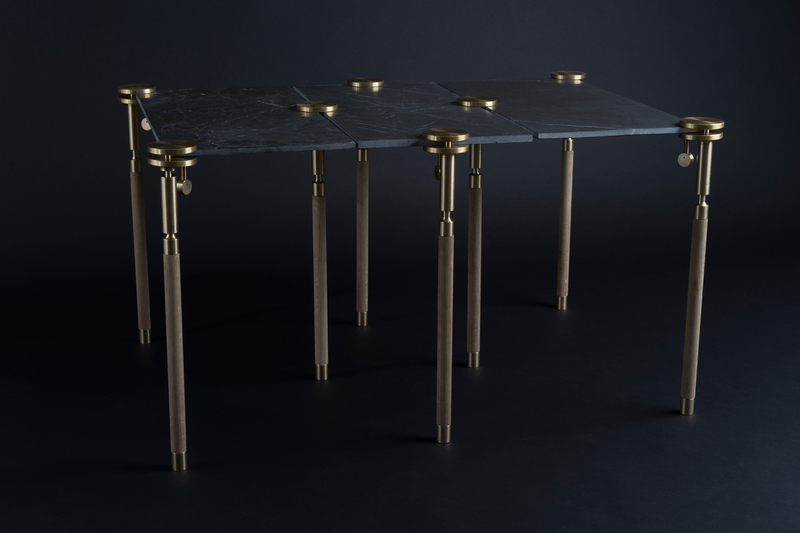 Jane Barrett, Australian designer living in Italy, is the founder and designer of the brand Cartabianca, which exhibited for the first time in Milan with a selection of tables, side tables and consoles in an intimate and refined private residence in the Brera district. 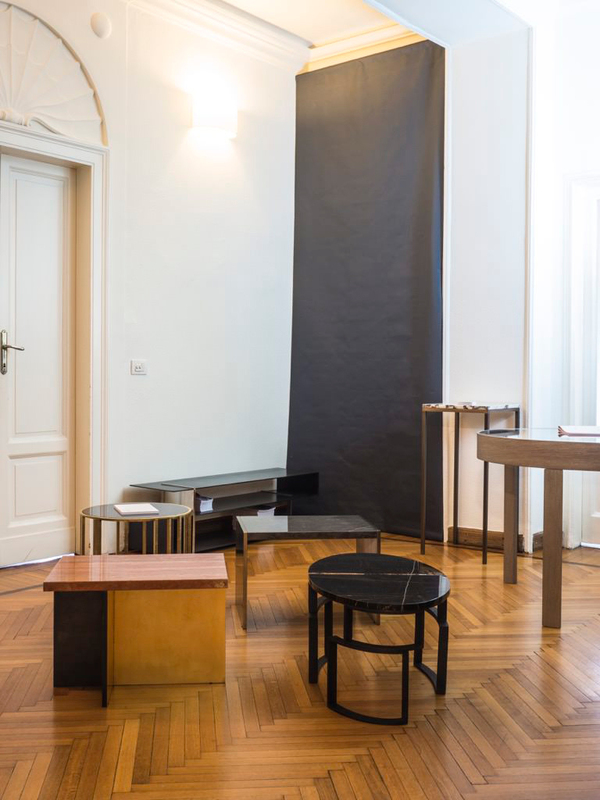 Temporarily ‘trespassing’ and discreetly partaking in a family’s daily life inside their private home, these pieces brought elegance and quality to a modern apartment in one of the most beautiful and sophisticated quarters of Milan. Sober and unobtrusive, just like the space in which they were hosted; designed for people who appreciate quality and non-ostentatious beauty.“True luxury is something to enjoy with privacy.” This is the base concept of Cartabianca’s participation in the Fuorisalone 2017: a brand born from the long experience of its creator, Australian Jane Barrett, in interior architecture and design in the luxury retail sector. 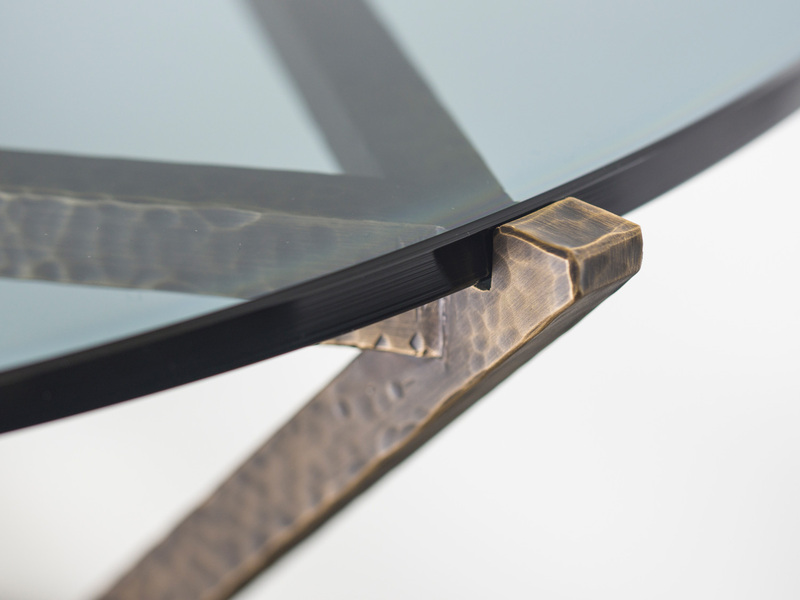 The design of each piece is restrained and discreet: the real protagonists are the materials. Procured in Florence and Padova, materials are worked and finished in Arezzo, Montevarchi, Laterina and Florence – the heart of Tuscan quality, luxury products and craftsmanship. Each product is unique, made entirely by hand by blacksmiths, carpenters, upholsterers, jewellers and glaziers. 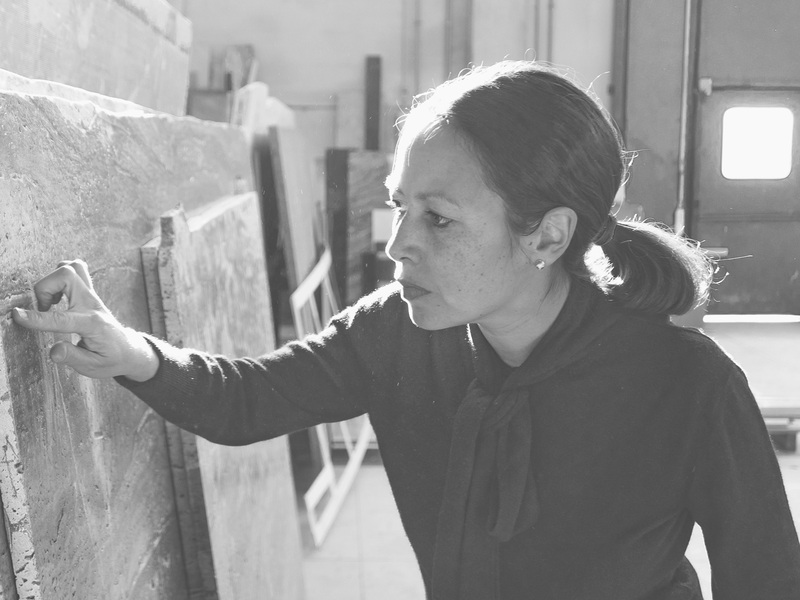 Jane oversees them, and works hand in hand with them selecting and procuring materials, prototyping, creating new finishes and specific artisanal processes: transforming stones, leafing, embossing, fusing and melting brass, burnishing, hammering and waxing steels. Australian by birth and Tuscan by adoption, Jane Barrett worked as an interior architect in Sydney, Paris, London and Milan. She then devoted herself for more than ten years to collaborations with international luxury brands, in particular la maison Louis Vuitton Malletier, for which she managed the architectural launch of Perfumes in Europe and the Middle East in 2016, and 32 boutique openings in 21 different cities in the world. Equilibrium. Brodie Neill’s latest Made in Ratio collection. Brodie Neill, designer and founder of Made in Ratio. 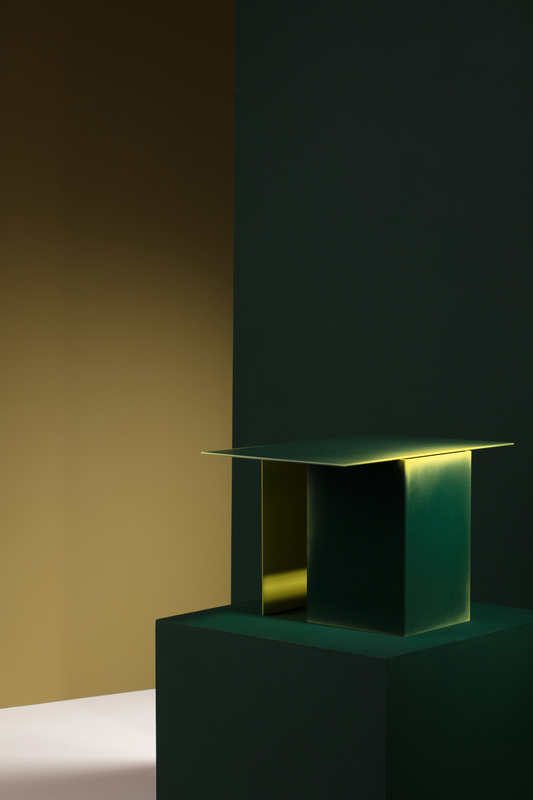 London-based Tasmanian designer Brodie Neill returned to via Palermo, in the heart of Milan’s Brera district, presenting Made in Ratio‘s Equilibrium for Fuorisalone 2017. 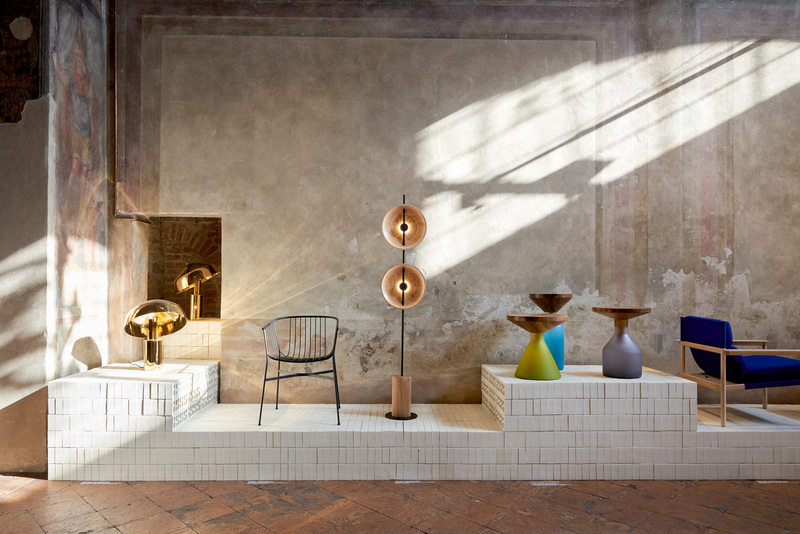 Celebrating Made in Ratio’s fifth exhibition at the annual Italian design event, the brand launched four new designs presented alongside some of the company’s most recognised pieces. 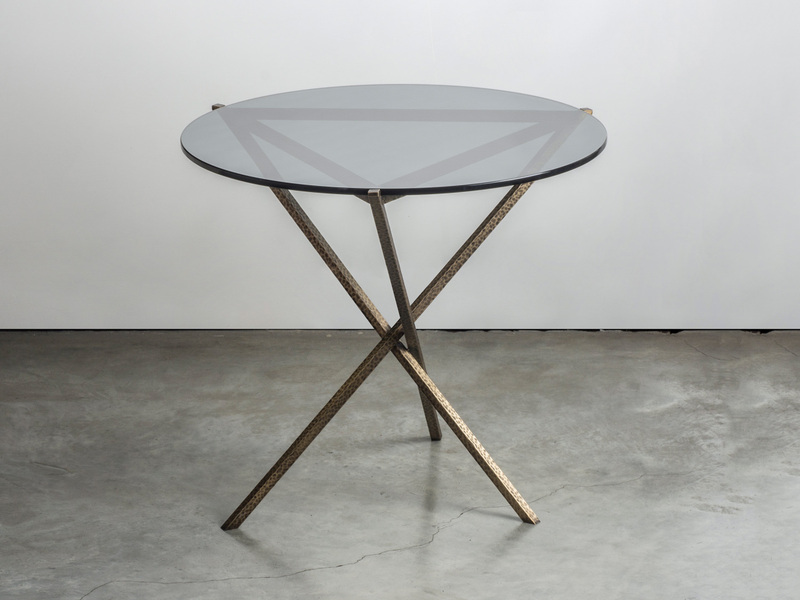 The new Stellarnova table, an evolution of the award-winning and now iconic Supernova table, features signature sculptural elegance and modularity. The biomorphic forms of the elegant legs were inspired by nature and sand cast in recycled aluminium in the UK. 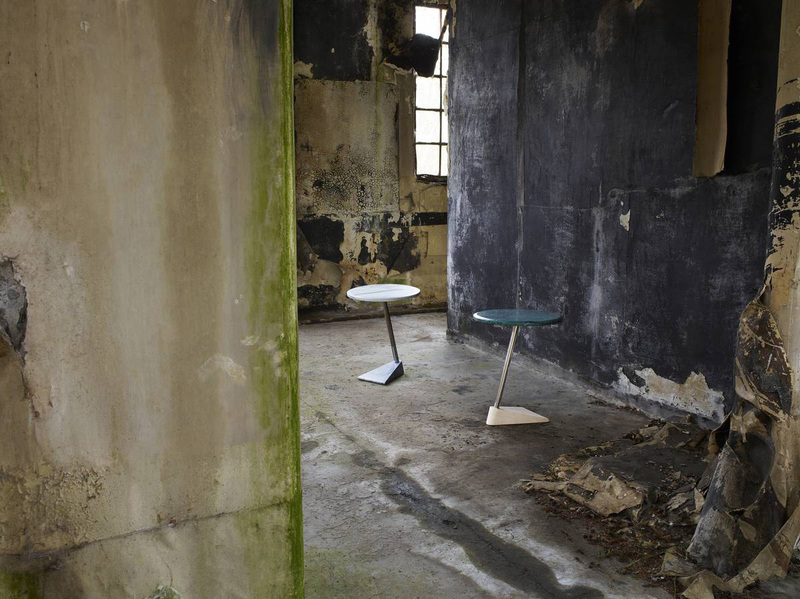 For Fuorisalone, Made in Ratio launched Stellarnova with an environmentally sustainable bamboo multiply; more traditional tabletops in solid woods and stones will be added to the collection later in the year. 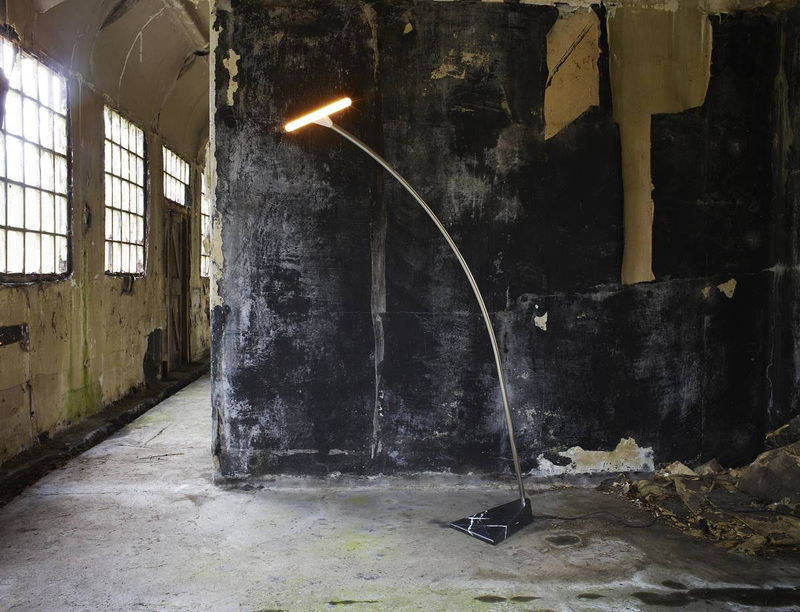 The Elements Light, a personal favourite from the collection, also made its debut in Milan. A triangular solid marble base, an elongated, bent, stainless steel mast and a linear LED tube bulb are carefully arranged to create a dramatic juxtaposition of the three materials. Each element of the design has a clear purpose: the triangular base provides stability; the elongation of the mast suspends an illuminated canopy, while the unobscured bulb allows for the maximum amount of light to radiate all 360 degrees. 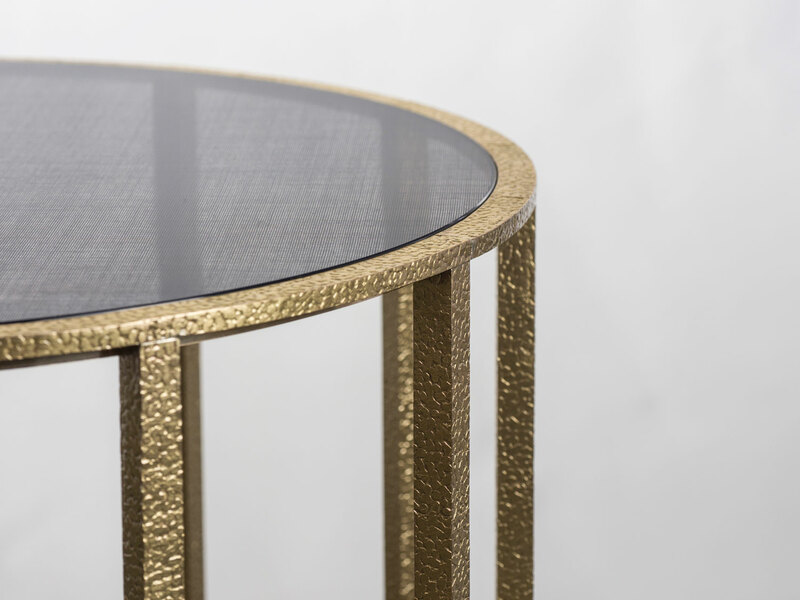 A continuation of the Elements family, the Elements table unifies three distinct geometries to form one function. 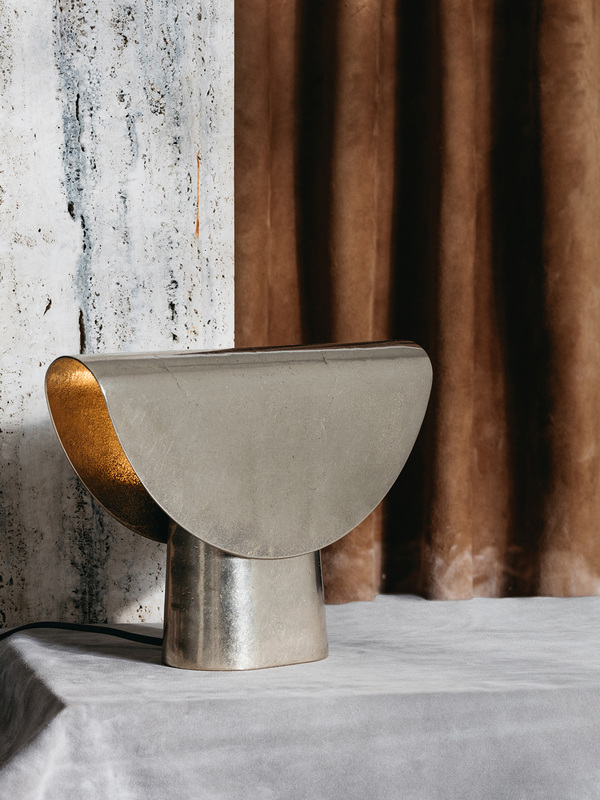 The simple arrangement of a solid marble base and top, united by a stainless steel stem creates a carefully reduced form that is both elegant and anthropomorphic in silhouette. Made in Ratio will also presented the Alpha Leather, a new edition of its renowned solid-wood all-purpose chair, this time featuring a fine-leather seat pad for added comfort. The name Alpha is derived from the strong architectural gesture that gives the chair its inherent strength: the A shaped structure of the back legs and backrest. 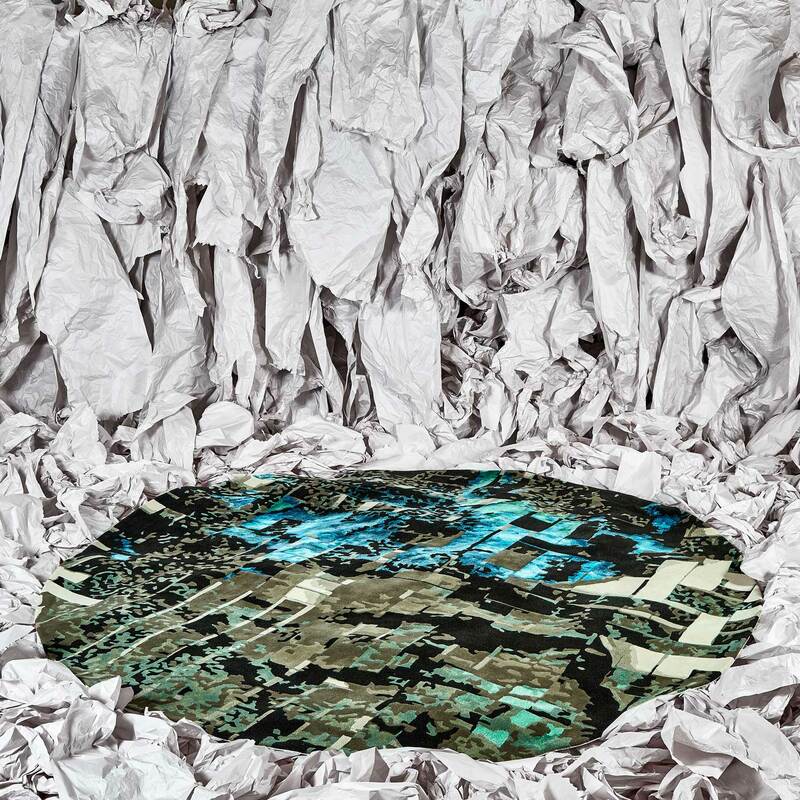 Local Design’s Installation in Milan. Left to right – Ross Gardam’s lights, Tom Fereday’s chair & floor lamp, Jon Goulder’s side tables and Adam Goodrum’s chair. Local Design’s Installation in Milan. 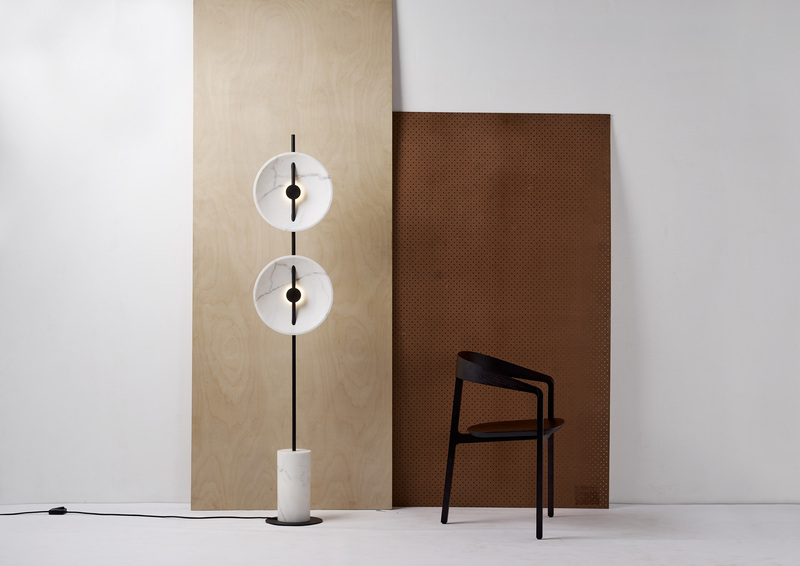 Left to right – Christopher Boot’s wall lights, Dowel Jones’ stool, Charles Wilsons’ side table & chair. Local Design’s Installation in Milan. Left to right – Wall lights by Kate Banazi & Ryan McGoldrick, Armchair & Floor light by Tom Fereday, and vases by ACV Studio. 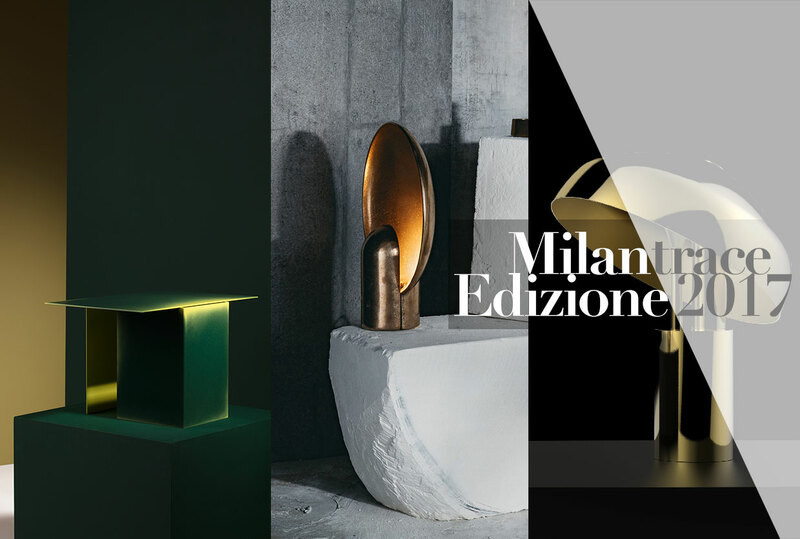 Local Design Participants at Milan Design Week 2017. Bunch of spunks. They should totally be smiling though, cause they killed it! 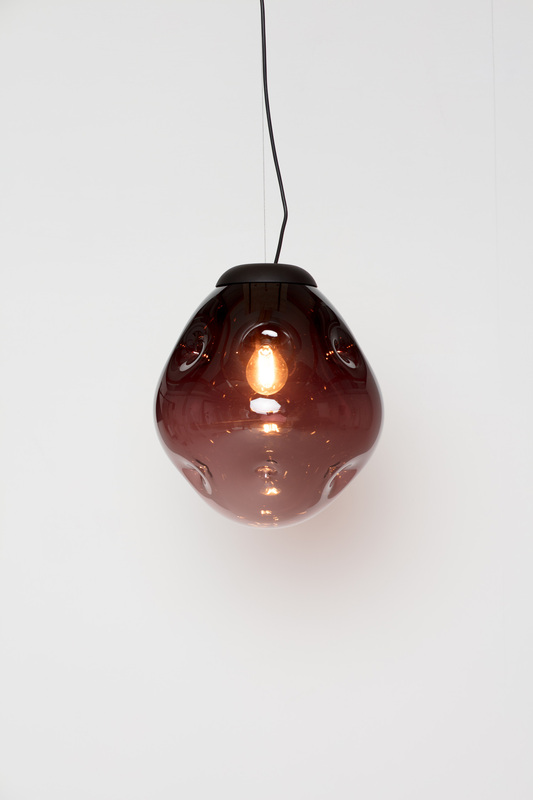 Smoking hot Mito Light in marble by Tom Fereday. Mito Light detail by Tom Fereday. 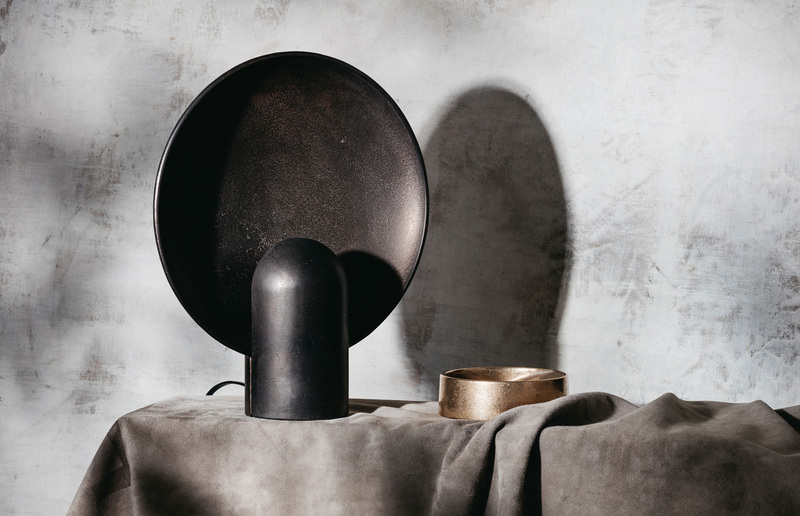 Limited edition Ora Light by Ross Gardam. Left: Holo Light by Tom Skeehan. 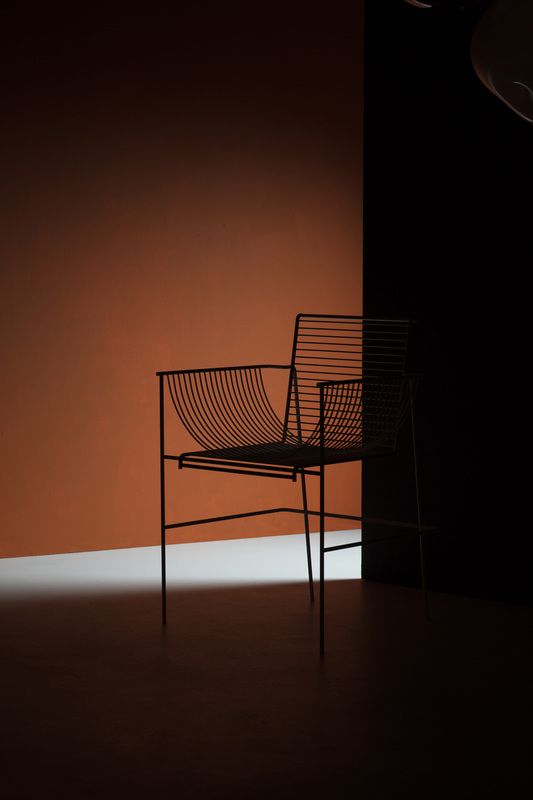 Right: Sarus Chair by Charles Wilson. Left: Farfalla Rug by Emma Elizabeth. 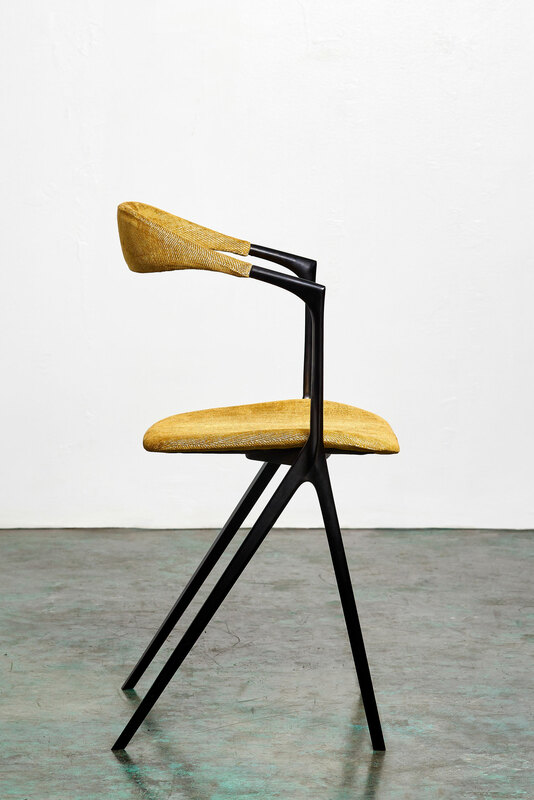 Right: Settlers Chair by Jon Goulder. 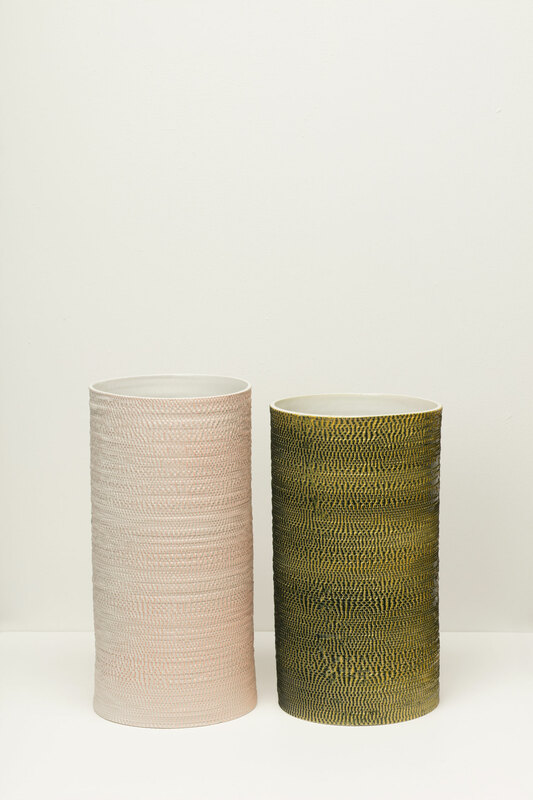 Left: Brass vases by Anna Varendorff for A.C.V Studio. 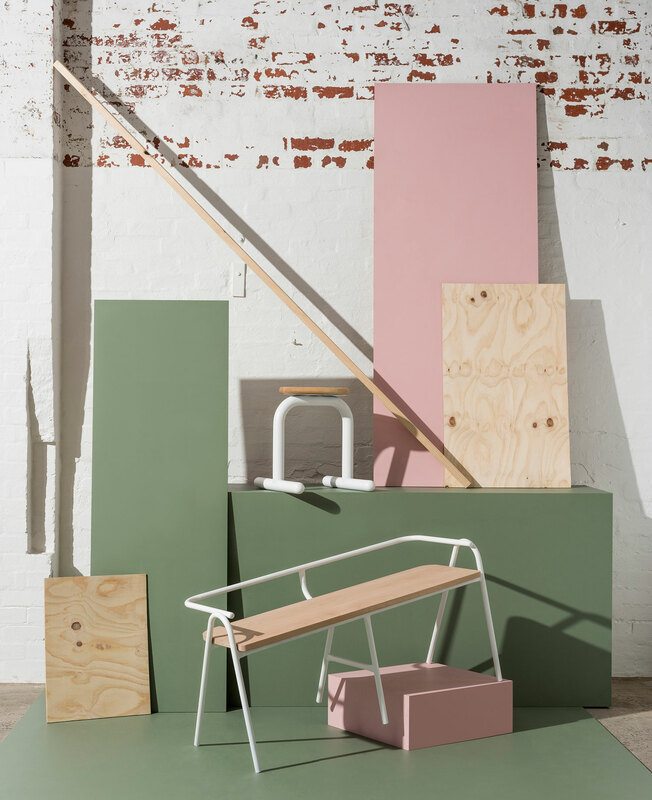 Right: Furniture by Dowel Jones. 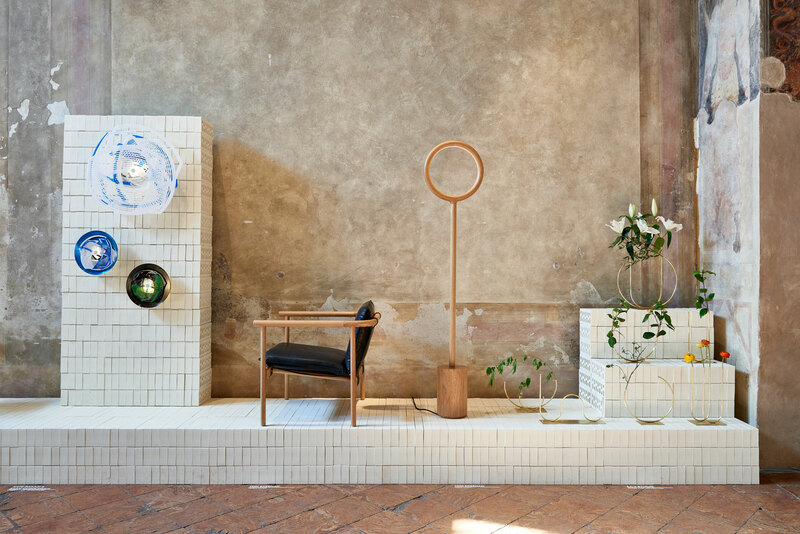 Australian collective Local Design returned to Milan for the second year, presenting ‘LOCAL MILAN’ in what was one of Australia’s largest and best ever group shows in Milan. Curated by designer, stylist and creative director of LOCAL DESIGN, Emma Elizabeth, the show brought together the work of 11 Established Australian designers including Adam Goodrum, Tom Fereday, Ross Gardam, Tom Skeehan, Charles Wilson, Joh Goulder, Christopher Boots, Dowel Jones, Kate Banazi & Ryan McGoldrick, AVC Studio, and Emma Elizabeth. Supported by Brickworks Building Products, 8000 white bricks were hand placed within Oratoria della Passione within the grounds of a spectacular old church Basilica Di Sant’Ambrogio in Milan. 1000 San Selmo Corso Aqua bricks also filled the courtyard of the venue, which were donated to Basilica Di Sant’Ambrogio after the exhibition for building the church’s new disabled access ramp. Brilliant! 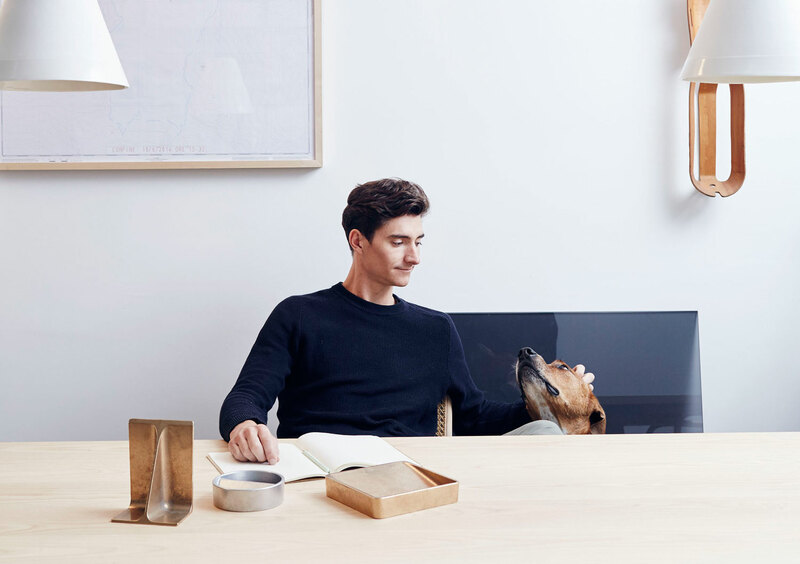 I have a soft spot for Josh Carmody, partly because he is the very first person I ever interviewed on Yellowtrace. Boy or boy, that was a along time ago for both of us. Anyway, this year Joshy made a trip to Ventura Lambrate to present a genius piece of gear he calls ￼The Clamp System, designed to inspire architects and designers to reuse the stone, tile, and timber samples often forgotten in their design studio libraries. At some stage most designers have eyed off a nice sample of marble in a design studio library, wondering how they could re-purpose it. Due to the inconsistent sizes that material samples come in – and more often than not, a personal lack of a stone mason workshop – creativity in reusing these stone samples often stops at the humble drink coaster. Resulting in a carefully selected piece of stone residing on the desk top under a coffee cup. 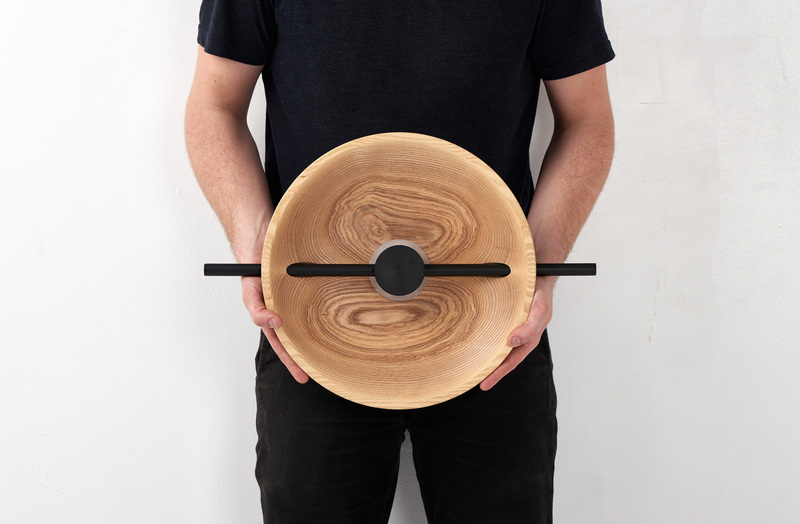 The Remnants Series revolves around two clamps – designed to hold materials up to 30mm thick. 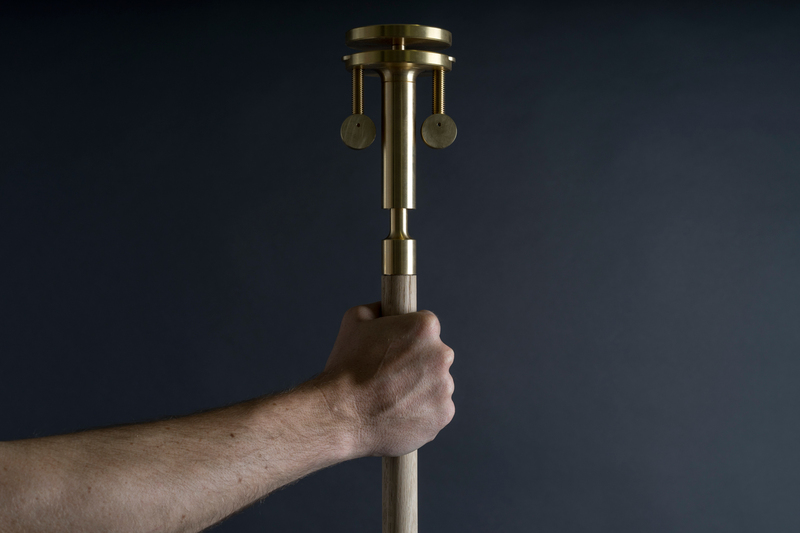 Both clamps are assembled from a range of purpose designed components machined in solid brass. Each clamp is then fitted with a leg component – available at different lengths – dependent on the desired table height. The single sided clamp is designed to hold one material – and act as a table leg at the corner or side of a table. The double sided clamp can be used to hold and join two materials – of equal or varying thicknesses. The use of both clamps together make it possible to create tables of varying shapes and heights – with the freedom to add structural support wherever needed. Each clamp has a primary clamping mechanism on the post – and one or two secondary thumb screw clamps for fine tuning the holding pressure. In order to create a flat table surface, the Remnants clamps are designed push the materials up from below. So when making a table top with varying material thicknesses – the table top surface is levelled out. 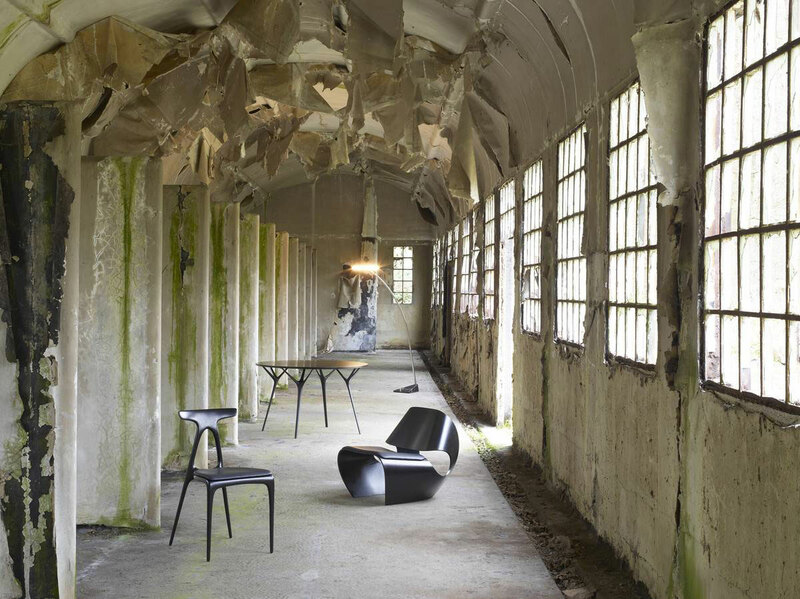 “The Remnants Series was born from my years working as an architect in a global architecture studio, while moonlighting as a furniture designer and maker for my own furniture design studio. As an architect, I always felt a pang of guilt seeing a stone sample headed for the bin. 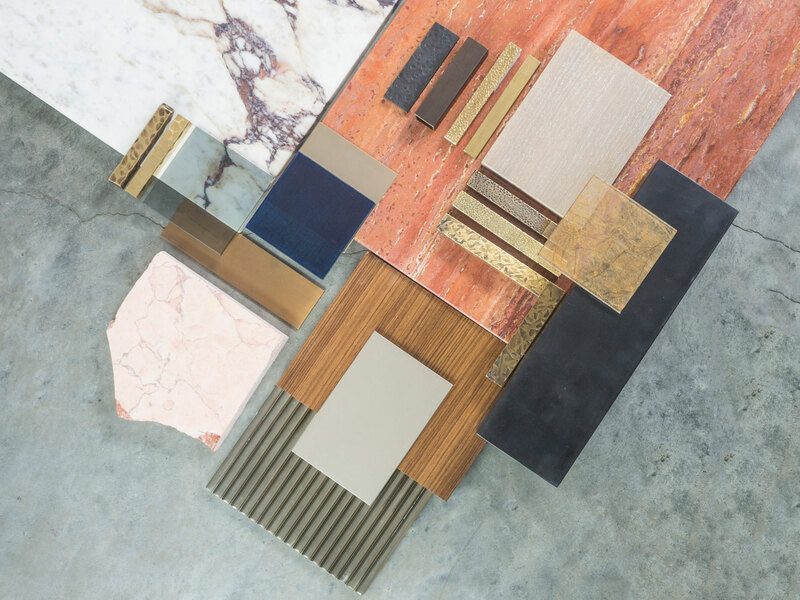 Small and large pieces of marble, granite, blue stone, sandstone and anything not collected by the supplier – will often spend some time in the samples library – before being binned a few months down the line to make space. All these opulent and sought after materials, pulled from the earth, transported around the world, cut, honed, polished, delivered, to then be judged not worthy by someone and discarded. This waste never sat well with me. Gravity Series by Toby Jones. 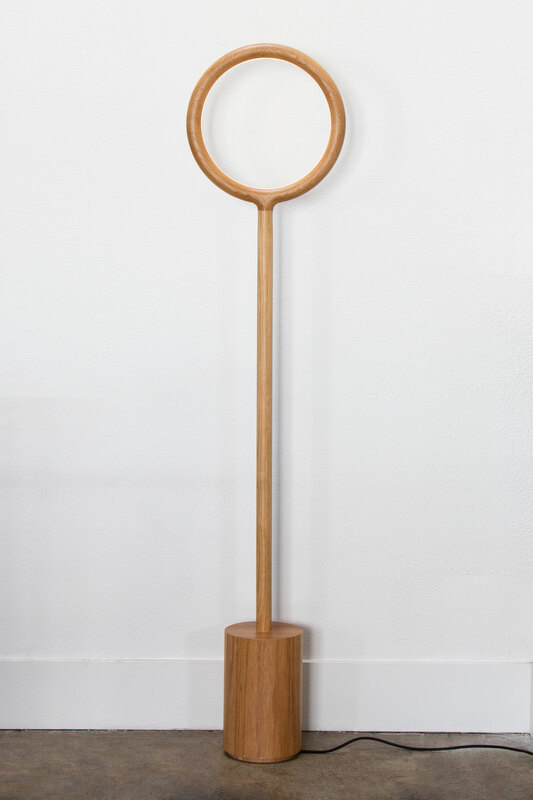 Dispersion Mirror by Nila Rezaei. 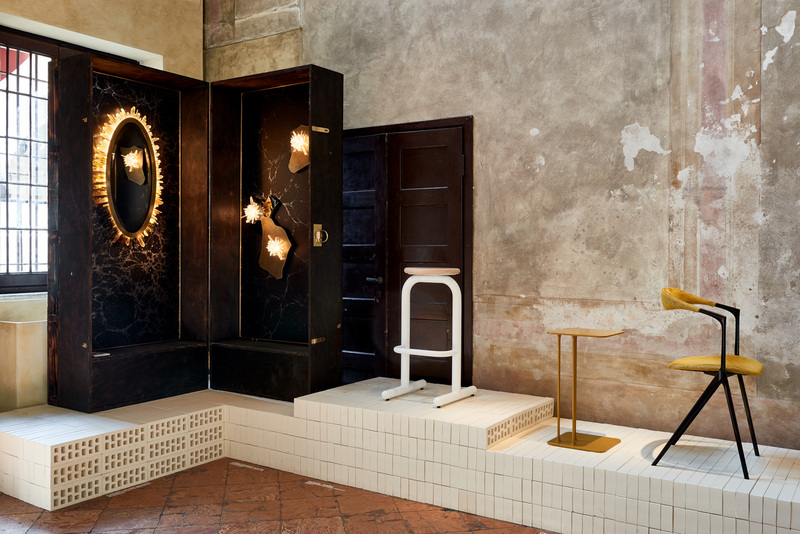 At Form & Seek show at Ventura Lambrate, presented with an overall topic titled ‘Age of Man’ which, in a nutshell, dealt with the impact of human kind on the planet, we discovered the work of three emerging Australian designers – Toby Jones, Nila Rezaei and Blake Griffiths. 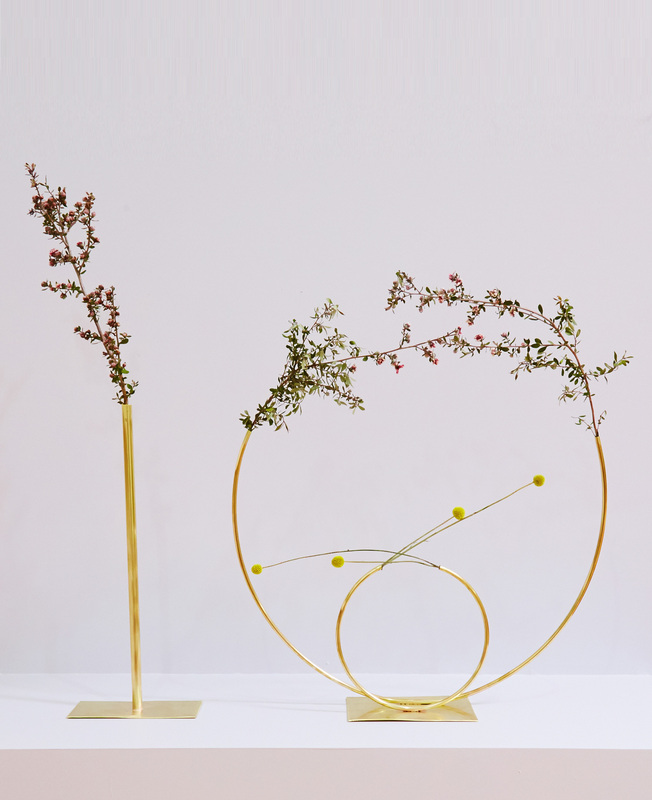 The exhibited amongst a diverse collective of designers and artists who presented their compelling visions for the future, and design solutions that are best suited for our age. Toby Jones‘ Gravity Furniture Series consists of two low, and two high side tables, and a long coffee table. 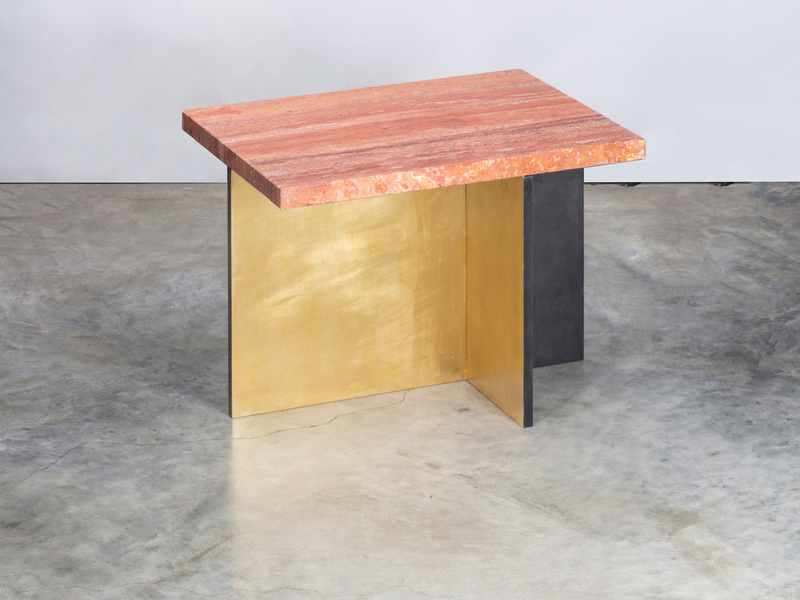 The tables explore the relationship between simple forms and powerful forces–each relying on its own weight and shape to allow it to function and stay upright. 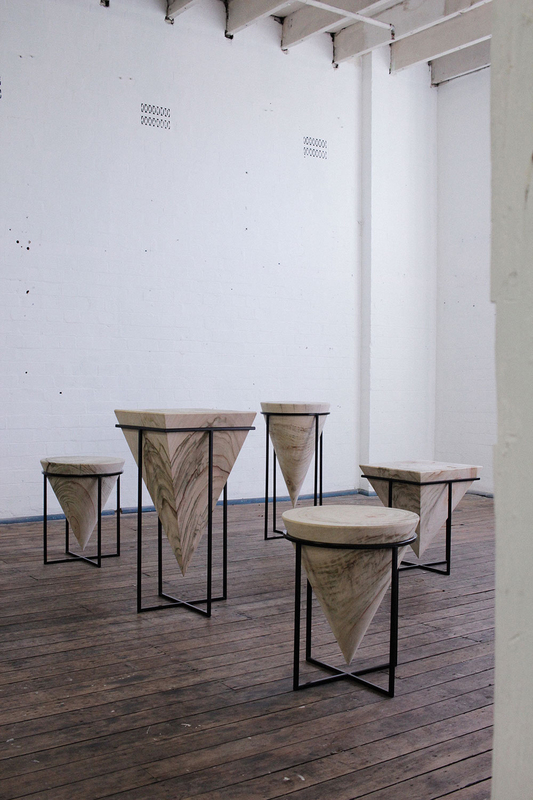 The side tables are each cut from a single log of Camphor Laurel Timber, which is considered a weed in Australia. 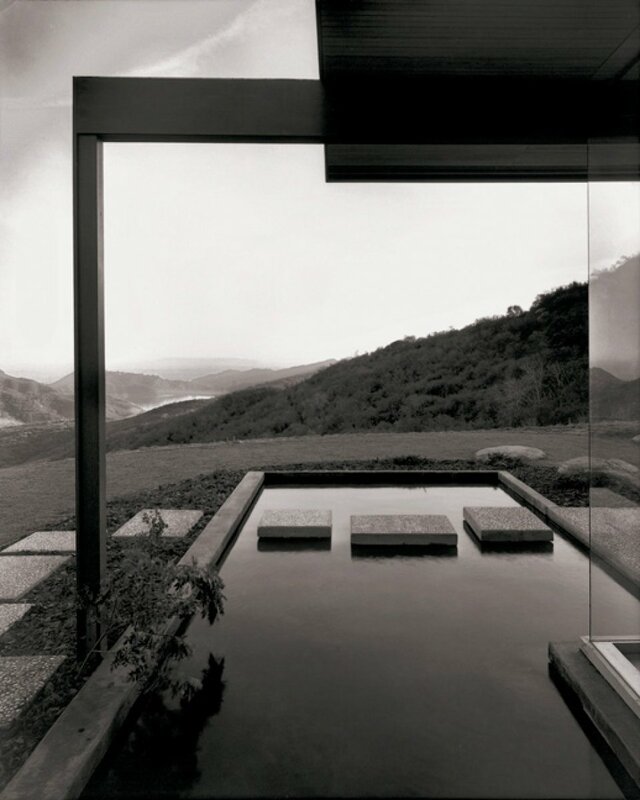 The solid blocks are finished raw, and suspended into steel frames–held in place by their own weight. The balance coffee table rests its weight on a central spine, sitting flush with the floor, and is constructed from sheet plywood. 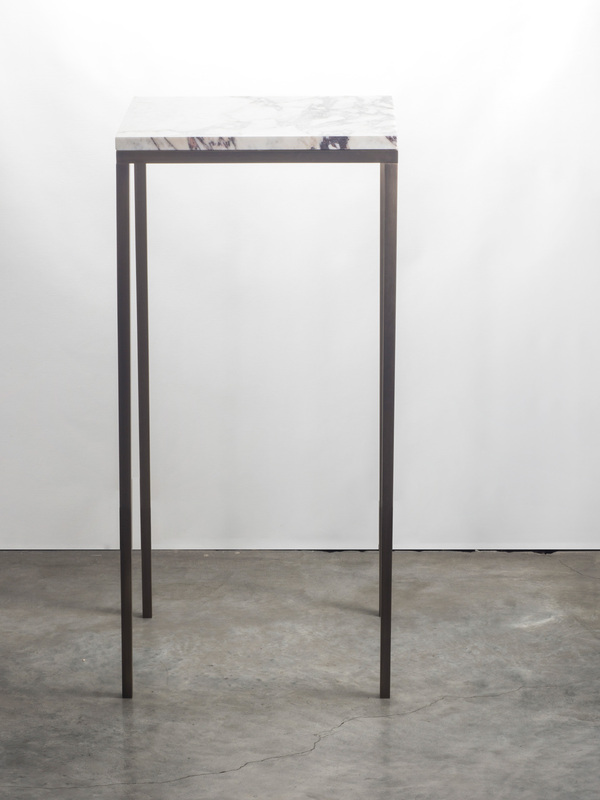 Nila Rezaei’s Dispersion Mirror responds to the need for critical design in the era of climate change, aiming to elicit debate around the catastrophic oil spills occurring all around the world​. ​The proposed object is a household ‘interactive’ mirror on a stand, coated with two different types of black thermo-chromic resin casted in a swirl; a visual metaphor for an oil covered surface. The mirror intends to promote the positive experience of ‘clearing’ the oil, through employment of an interactive scenario. The interaction is initialised through a wind sensor, encouraging the user to participate in the act of ‘Repair’ by blowing into the sensor, which leads to the activation of a custom made heater adhered the the back of the mirror. The initiation of the heater results in a slow and organic transformation of the black surface into clear, conveying the act of dispersion conducted by the user. 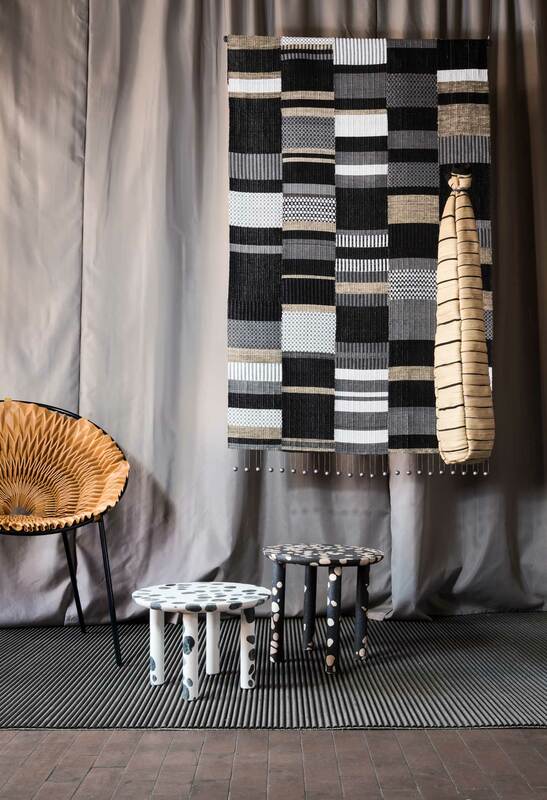 Textile designer and art educator, Blake Griffiths, presented two new works ‘Home is where you carry it’ and ‘Bag to drag your life across the border’ – a continuation of his ‘Carrying On Carrying On’ project, exhibited at the Australian Design Centre’s Bright Futures exhibition. 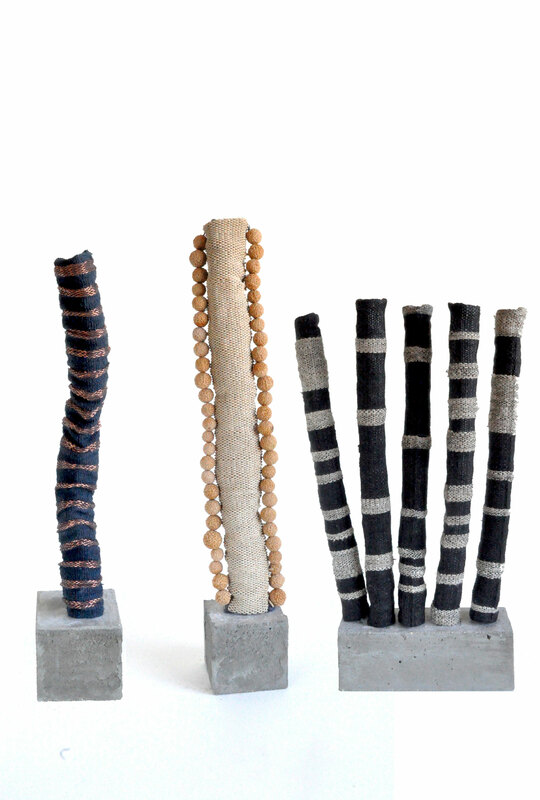 Faithful to Griffiths’ interest in contrasting natural and synthetic materials, as well as throwing light on current social issues, these two works paint a future where artificial or human-made inventions and materials–believed to have led us to the Anthropocene – can actually save or support us, either temporarily or permanently. ‘Home is where you carry it’ is portable flooring, made entirely from recycled plastic bin liners and hand spun nettle, providing comfort to the ever-moving or displaced dweller. 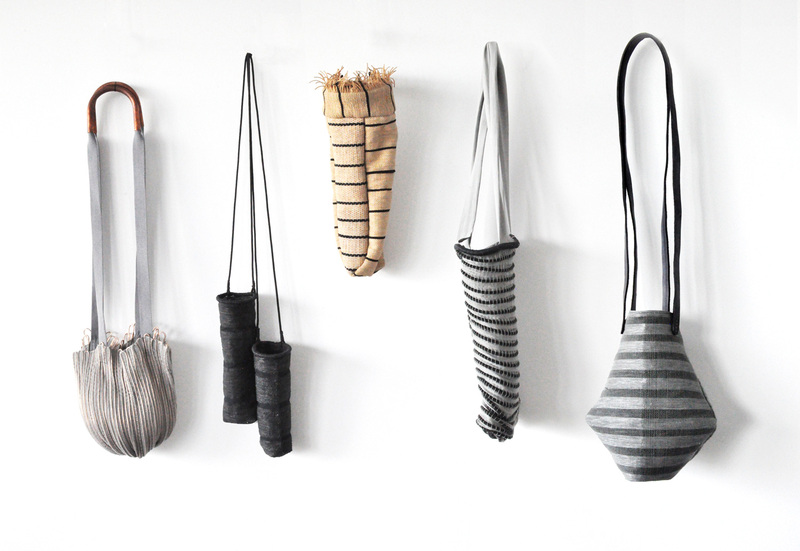 ‘Bag to drag your life across the border,’ meanwhile, is a tough but flexible bag, also made from synthetic material, that serves as a robust tool for man’s journey ahead. ‘Carrying On Carrying On’ by Blake Griffiths. Historic Edwardian Home Transformation in Melbourne by Mim Design. Egg Collective’s “Designing Women” Exhibition in New York City.